This project is about creating a space with personality for exhibiting the man-made products and objects of Meşteshukar shop. The first question that we have asked ourselves was that if we should think at this little store as a space which should reflect the Romanian traditional style, or if it should be a neutral space, conceived as a simple, contrasting and emphasizing background for the products. 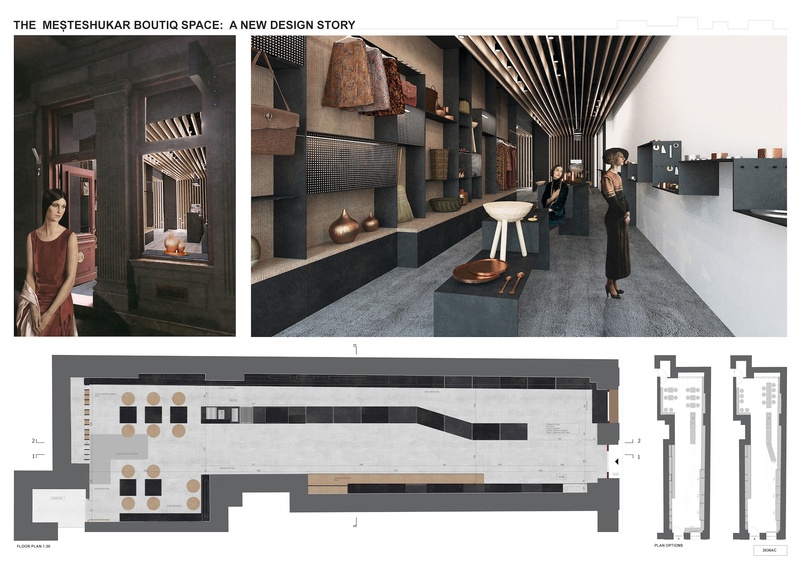 Analyzing these two possibilities we have reached the conclusion that for the Meşteshukar Boutiq the objects are more important than the space, and that the space should only be a simple and neutral support of the artisanal products. That is why our design concept proposes a minimal space furnished with custom-made furniture objects, made from only two raw material, wood and metal, complementary to the man-made objects presented in the store, also made from raw, natural materials.Our design conceives the store interior as a folding space which is able to accommodate in a flexible way the two dimensions of the shop: the product presentation and sales, and the social interaction for meetings and coffee discussions. These two areas are in the same time separated and superimposed, creating the possibility of a mixed use of the space, through a continuous places overlapping. 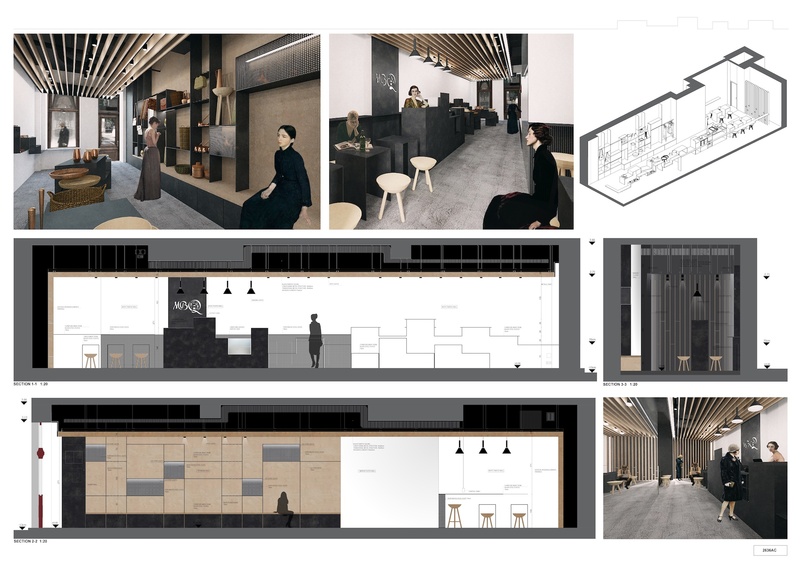 The café extends in the shop area, and the shop proceeds in the café, thus creating a blending, homogenous space. The design of the central strip of furniture which functions as display racks, seating places and café bar, acts also as a metaphor: the continuity of the furniture line is seen as a ribbon that connects and brings together, in one, single gesture, the craftsmen, the designers, the tourists and the buyers.